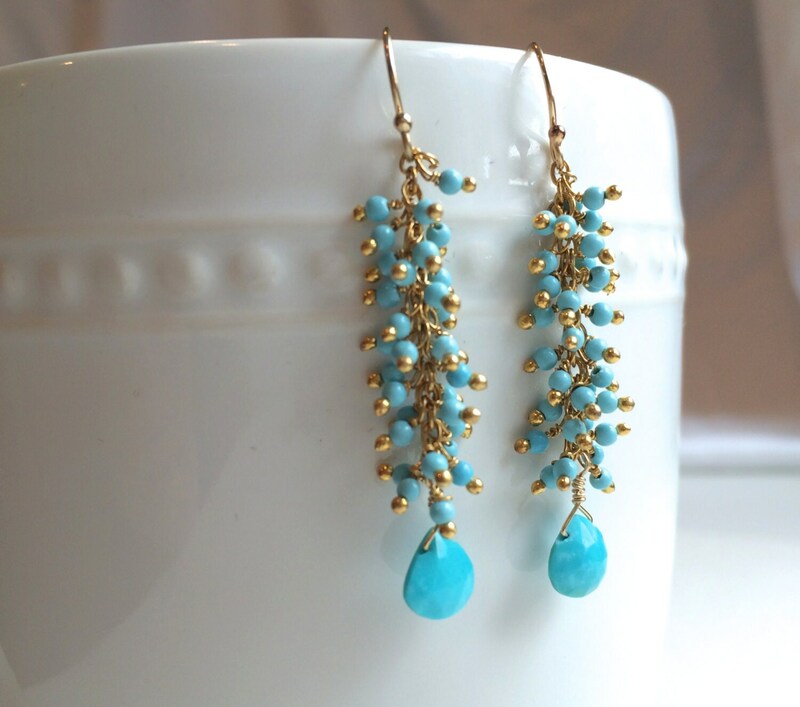 These lovely earrings feature a gorgeous turquoise gemstone that is Tiiffany blue in color. Very little veining in the stone and faceted in cut. 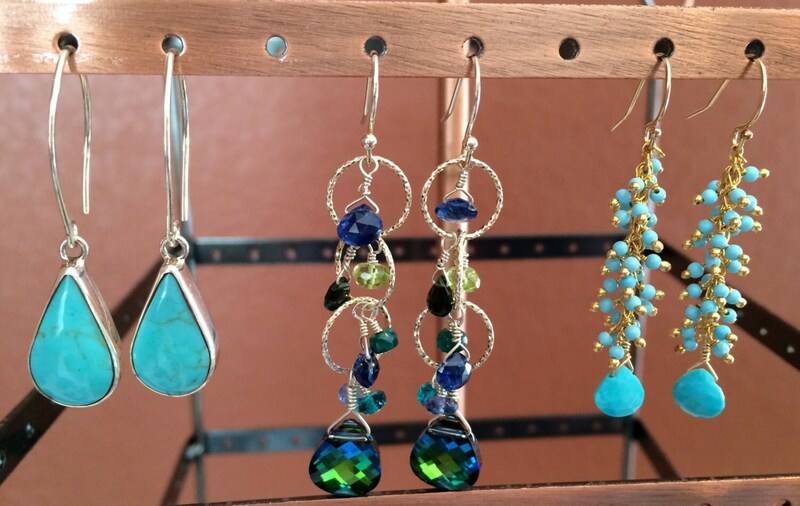 The bottom stone is about 7-8mm in width. 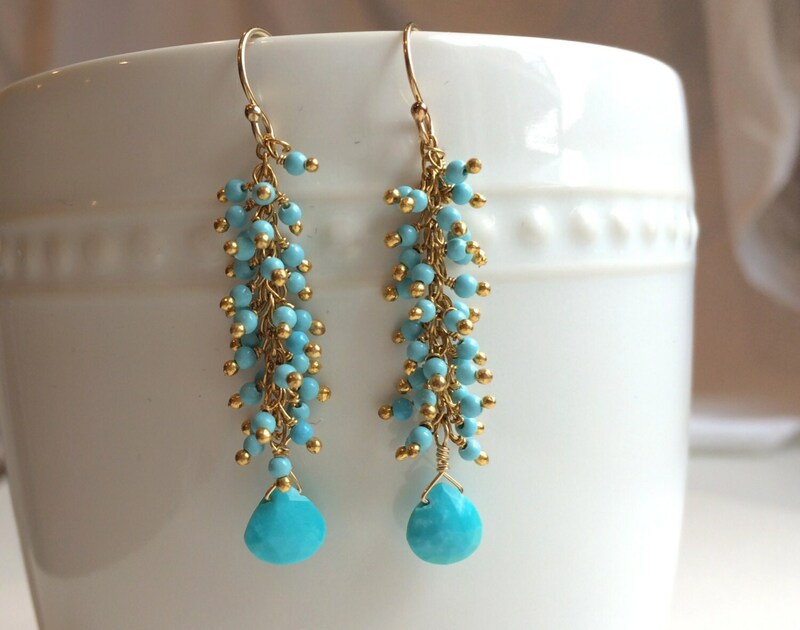 Dozens of tiny turquoise beads dangle from gold fill metal. 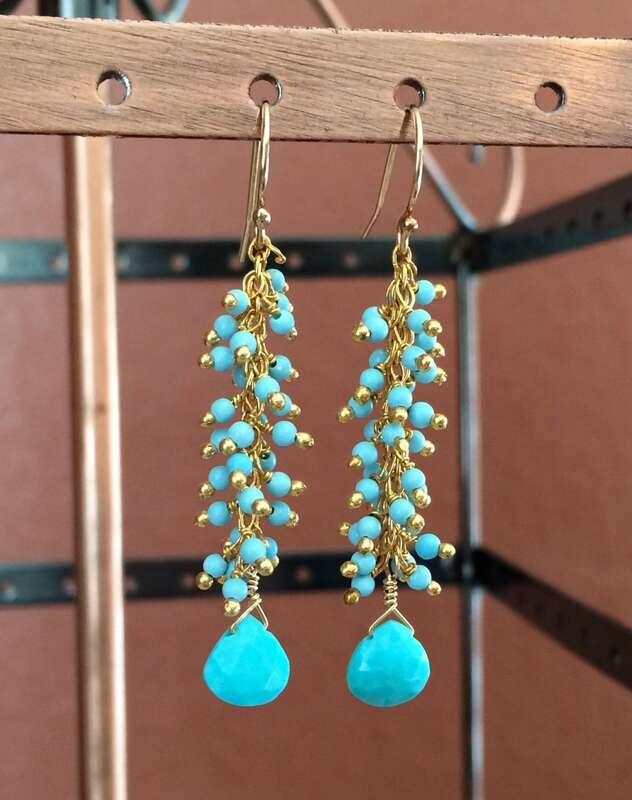 On gold fill French Wires.